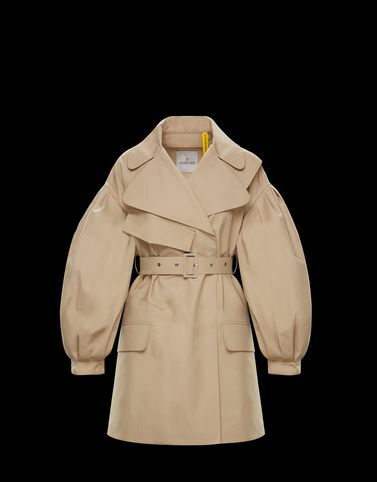 The typically British look of the double breast trench coat is softened by the puffed sleeves on this piece from the 4 Moncler Simone Rocha line, collection n°4 of the Moncler Genius project. The uneven length, which is longer in the back, emphasizes the ethereal character of a classic that undergoes a complete transformation. Hand wash; Do not bleach; Do not tumble dry; Ironing maximum temperature 110°C - without steam; Do not dry clean; Do not professionally wet clean; Dry flat; Wash separately; Do not twist or wring; Remove detachable accessories before washing; It is advisable to wash and iron with the garment on reverse.